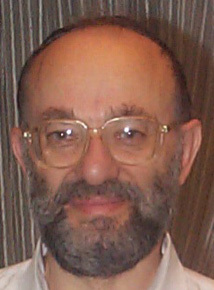 Alexander Rotenberg received his Ph.D degree in mathematics in the field of Probability Theory and Dynamical Systems in 1973 at the Moscow State University. After his aliyah to Israel in 1990, Dr. Rotenberg became familiar with Torah codes. This phenomena seemed so striking to him that he felt a need to independently investigate it on his own. He systematically investigated the way in which Torah commentators such as Rashi, The Ba’al HaTurim, and Rabbeinu Bachayay have the key words of their explanations appearing as ELSs near by the verses being explained. He authored a book And All This Is Truth detailing many of his findings. Dr. Rotenberg is a descendaent of the Gaon of Radishkovich and a relative, by marriage, to the descendents of the Vilna Gaon.